Folding doors are popular for their useful purpose of dividing rooms to maximize space for different purposes and even for decorating interiors because of their neat and aesthetic properties or designs. These folding doors are also known as accordion doors for its folding action imitates the stretching and contraction of an accordion. 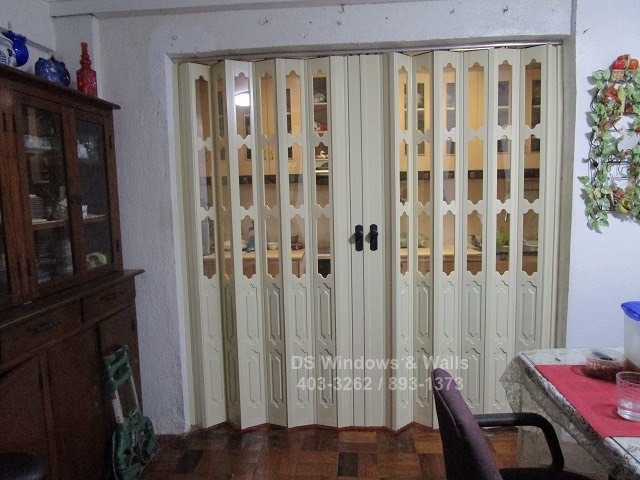 As for our product for today’s article, it is a folding multi-panel door from the installation in a client’s house in Makati City. The feature for today is a bi-folding french door that divides or folds from the middle to separate the client’s dining area and living room. While the living room is the center of the interior and the house’s activities as well as receiving guests, the dining area is where some family gatherings and meals takes place. With both areas playing large roles in various house events, the folding door serves great importance in providing an aesthetic-looking and tidy barrier to divide the two house parts. Moreover, it provides the privacy that the house members need may it be during welcoming some guests in the living room or during dinner affairs in the dining table. 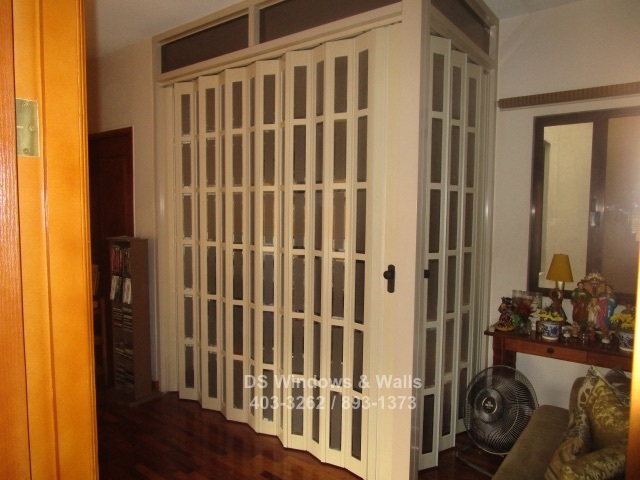 The ivory white french designed accordion door proved as an advantage for it gave both rooms a neat partition at the same time designed the house classically. It certainly matched the touches of white and wooden furniture that the client chose to design the house with. And with the incandescent light from the fancy beaded chandelier on both rooms, the two areas achieved the classic aesthetic look that will surely allure visitors in. All in all, the accordion door greatly contributed to the warm and cozy atmosphere of both rooms. Accordion doors are much in style for they are of great purpose when it comes to space conservation, room partitions and designing interiors. It is a great alternative to the traditional hinged doors because aside from saving space, it is easily customized and are very flexible, allowing clients to adjust immediately as according to their desired purpose. Also, folding doors proved to be much cheaper than other types of doors and because they are PVC, they are available in different sizes, designs and thickness. 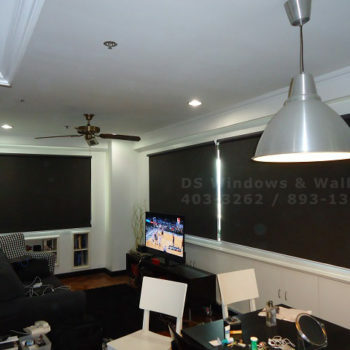 These also have longer lifespans and since the featured product is a french design folding door, it consists of glass that gives off a classic look. French folding doors are also available in different textures and glass designs. 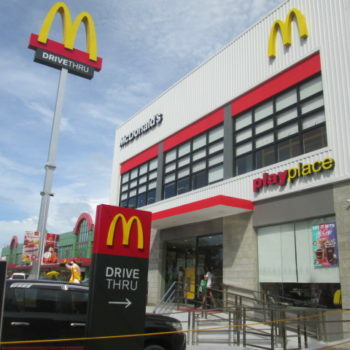 For more information on available folding door designs visit us at our mall branches or call us at (02) 403-3262, (02) 893-1373, (02) 668-9668 or email us at inquiry@dswindows.com.